All Crane Training USA (ACTU) offers classroom instruction for crane operators desiring to be NCCCO certified for Mobile, Tower or Overhead crane operation. The classes prepare crane operators to successfully pass the NCCCO written and practical exams. Our instructors have over 25 years of instruction experience and regularly attend classes to keep and maintain their qualifications. ACTU has developed comprehensive training manuals that cover all the necessary information to successfully complete the required CCO exams. Our instructors work closely in the classroom with each candidate taking in to consideration their learning style and their level of crane operation experience. We are so confident that our candidates will be prepared to pass the exams that if they should fail the written NCCCO exam, we will let them take the next class for FREE. 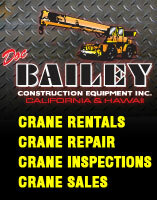 Our curriculum includes 2-5 day Mobile, Tower, Overhead crane classes. Some classes are scheduled on as needed basis, while others are pre-scheduled. Check our 2019 class schedule for available dates and classes. Class fees are per person and include study materials and $100 sitting fee. 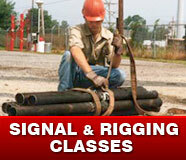 The class price does not include NCCCO Testing fees for written and practical exams. The class costs are specified in the class description pages on the website. 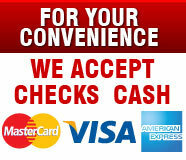 These prices are subject to change without notice and are for classes held at our Oakland Facility. All ACTU applications must be received 2 ½ weeks prior to the date of the scheduled class. Fill out an ACTU registration application indicating the class or classes you wish to register for. You will be notified via email or fax confirming your class registration. All classes are limited and are filled on a first come first served basis.